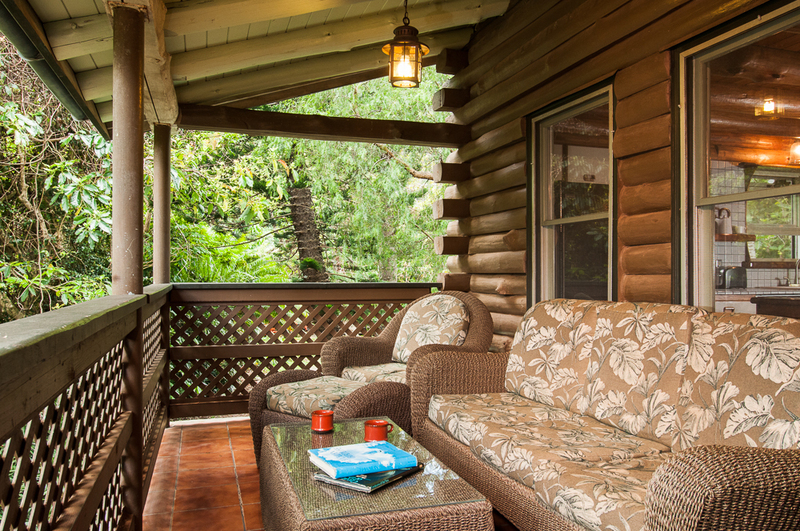 This property is a hidden jewel in a lush garden setting—a gardener’s delight, artist get away, spiritual retreat or family vacation. 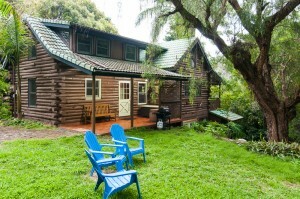 Great house on Maui for small group retreats, family gatherings, reunions, or a cozy getaway for two! 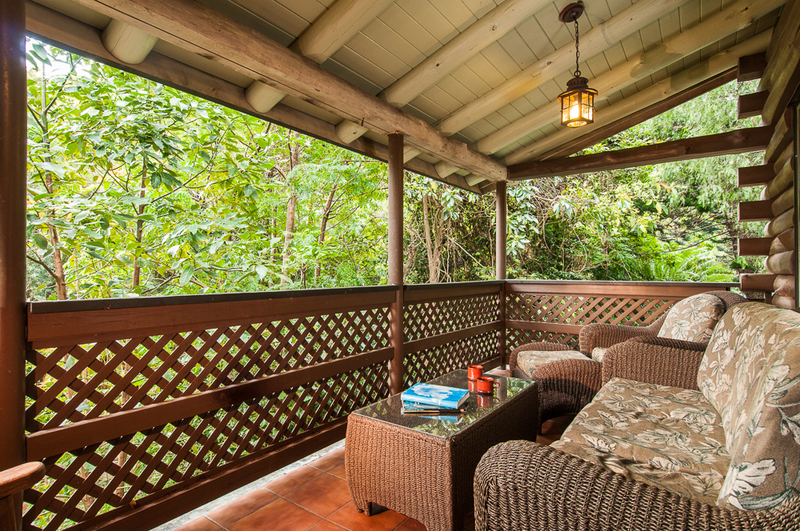 This spectacular gated property, has the feel of a mountain retreat away from the tourist scene, but is just minutes to restaurants, shops and beautiful beaches. 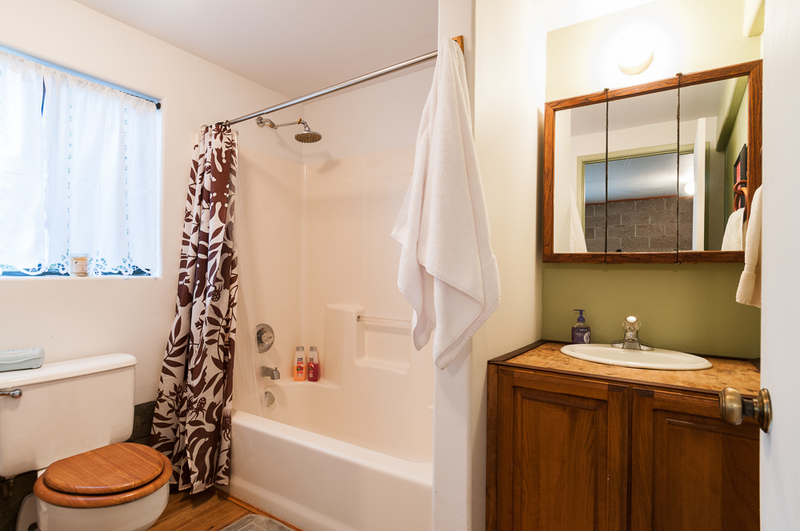 The house offers all the amenities you will need. Whether you seek a romantic getaway for two or a great place for a family reunion, a gathering of friends or a retreat….this place is perfect. We also have an adorable Gingerbread House cottage on site and additional accommodations on nearby properties so let us know if you have a large group! 808-280-5294 or email us for reservations or information. The house has 5 bedrooms and 3 bathrooms (4 queen sized beds and 3 twins and a king or two more twins if divided). 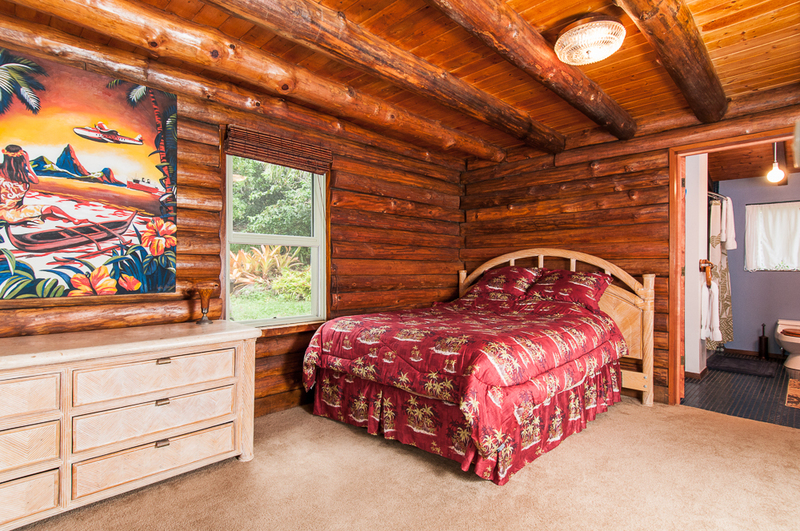 The 5th bedroom is a studio suite with bathroom, and private entrance (still with access to the house). 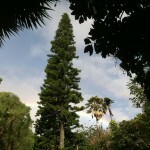 This private property is located on 4.5 acres of absolutely beautiful lush forest and garden greenery…. like Hana without the drive! We are 15-20 minutes from the airport, Costco, etc. 10 minutes from a beautiful beach, world-class windsurfing, kite surfing and surfing locations and 5 minutes to some of Maui’s best shops. We are located just 50 minutes to the entrance of Haleakala National Park. To Reserve your dates Call 808-243-7284! 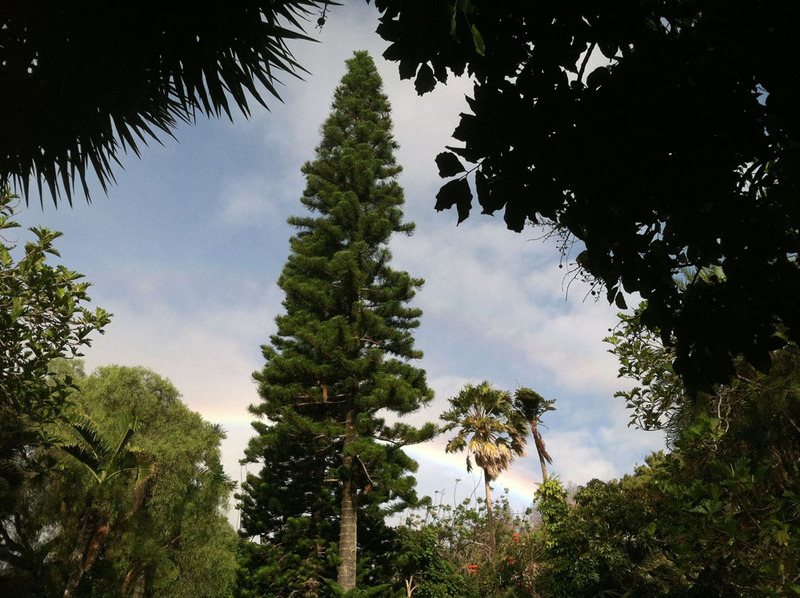 The property has a gated driveway and is shared by the neighboring Sacred Garden, a peace sanctuary and nursery featuring tropical plants, gift items, two walking labyrinths, a meditation room, and the world’s most beautiful Buddha garden. Complimentary tea and hot chocolate are always available. 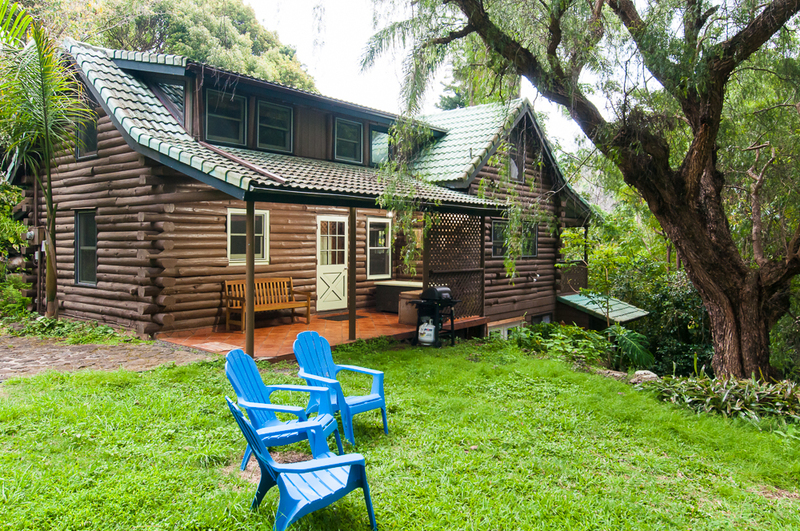 The property also features an organic nursery, banana trees, orange trees, coconut, noni, betel nut, date palms, macadamia nut, lychee, mango, avocado and a coffee farm of over 600 coffee trees. There is a seasonal stream in the back yard that offers an ever-changing landscape. 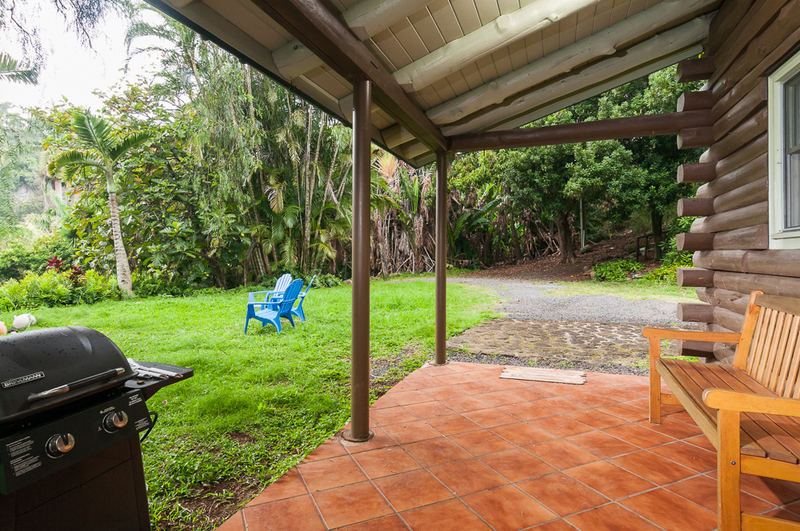 The two properties together offer 8.5 acres to enjoy. The house ranges from $475 a night -875 a night depending on the time of year. 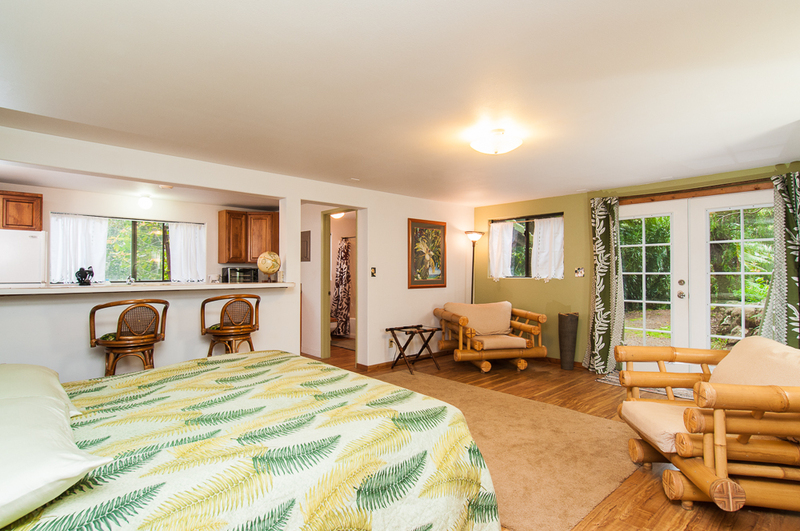 (depending on the number of people, a $50 per night per extra person fee may be additional), Hawaii State Transient Accommodation Taxes and GE taxes are 14.41%. A one-time cleaning and amenities fee of $475.00 is also required and a credit card is necessary as a security deposit. (Seasonal pricing applies.) There are additional accommodations nearby if you have larger groups, let us know. The Main Entrance Level Floor offers a living room, dining area, fully-equipped kitchen, lanai, master bedroom and master bath. 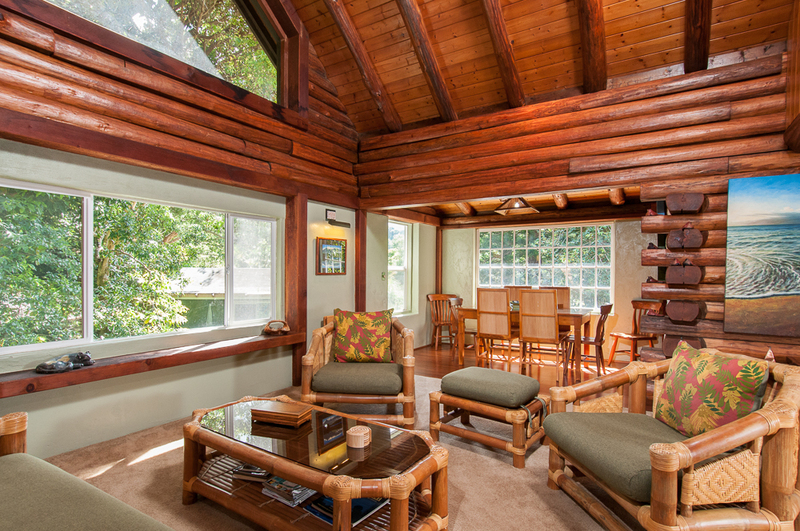 The spacious living room has cathedral ceilings and great windows. The elephant bamboo furniture mimics the logs, with a tropical flare. 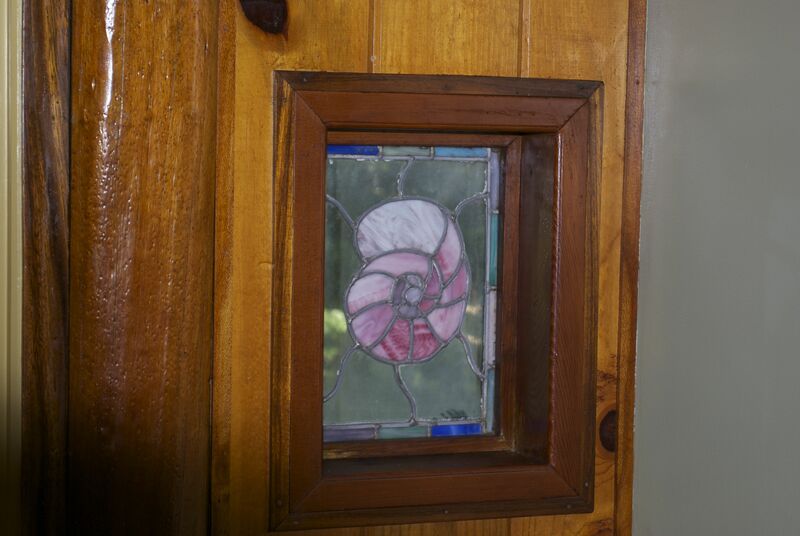 Beautiful original paintings and photographs of Hawaiian scenes and stained-glass windows offer a charming artistic touch. 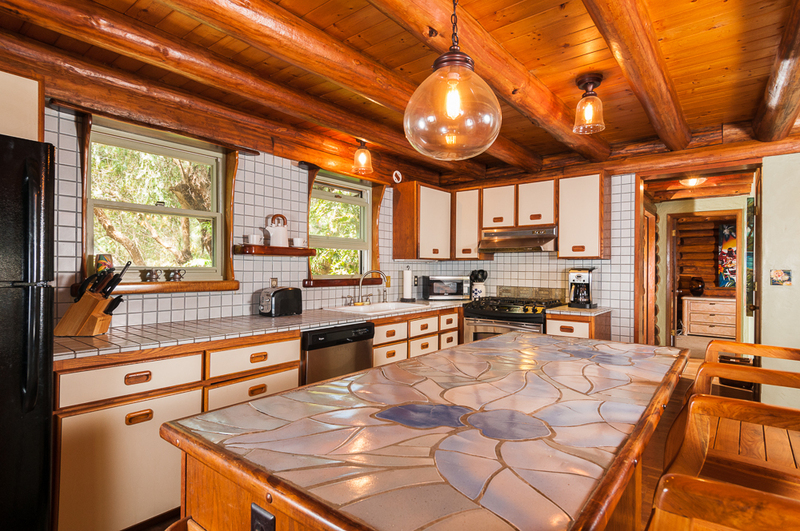 The kitchen has custom tile work, full-sized appliances and all the amenities. The center bar makes a great gathering place. 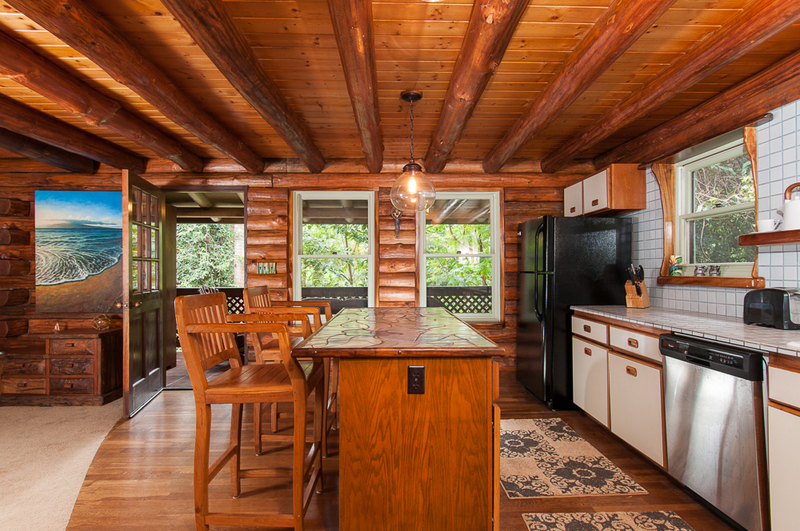 Fully equipped with dishwasher, ice maker, coffee maker, coffee grinder, microwave, gas stove/oven, and blender. The master bedroom is on the main floor of the house. 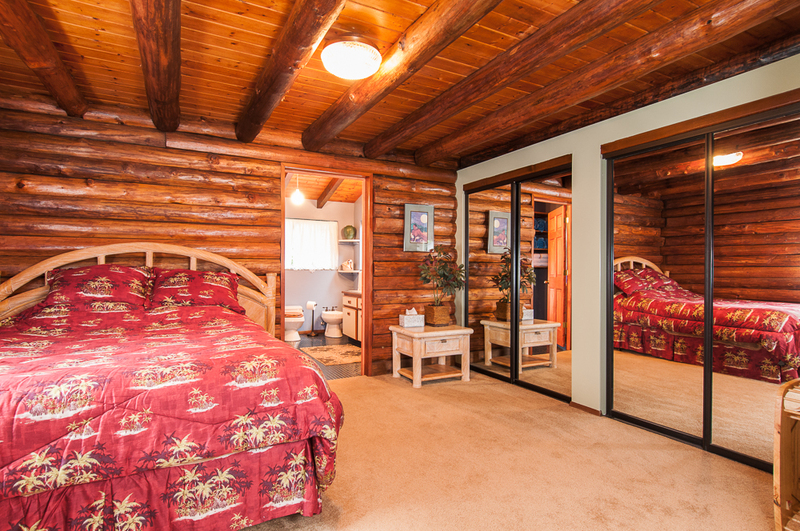 Beautiful mirrored closets show off the beauty of the logs. The room has an extremely comfortable queen-sized bed. 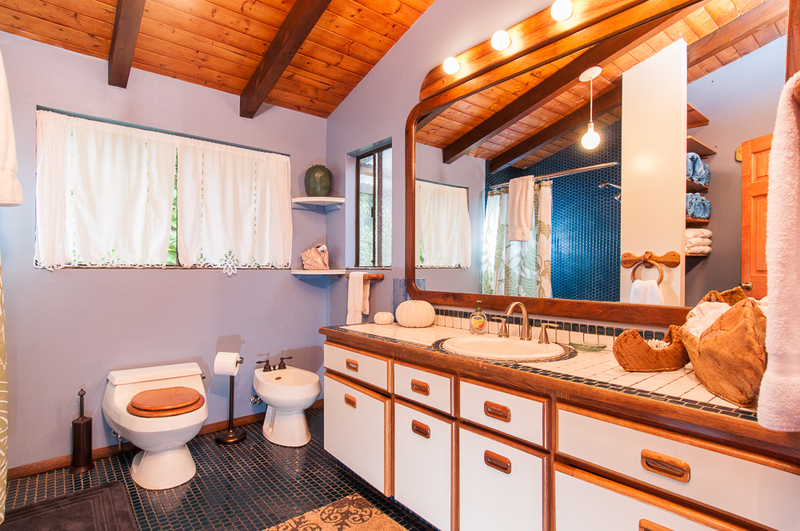 The master “blue bathroom” features a tub, shower, and bidet. 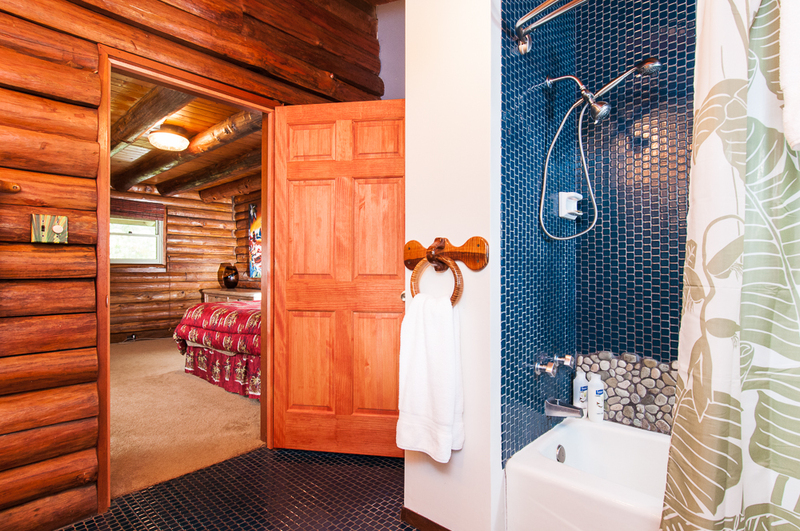 Custom tile, wood, rock work and stained glass make this bathroom extra charming. 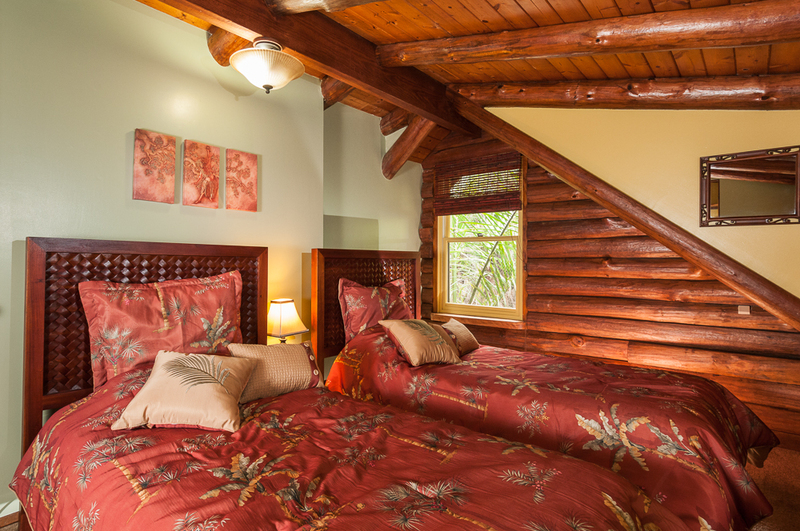 The Upstairs offers a loft bedroom, another bedroom and an adorable bathroom. 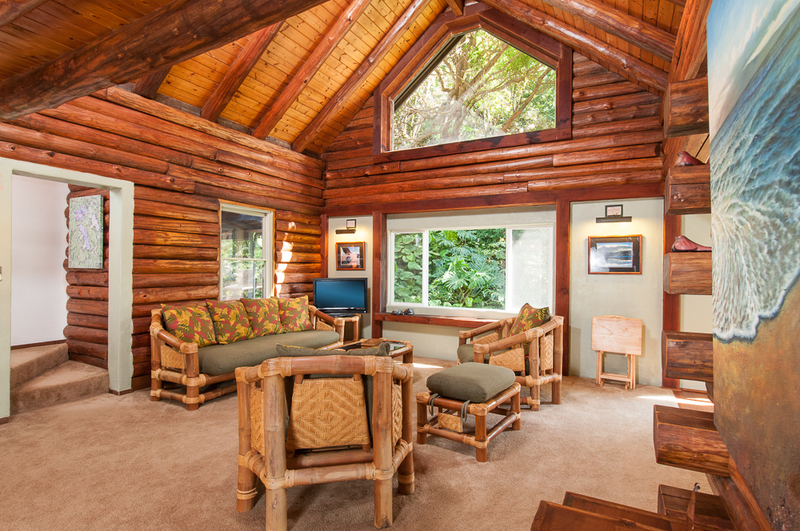 Upstairs there is a loft that looks down into the living room, and up the valley toward Haleakala. 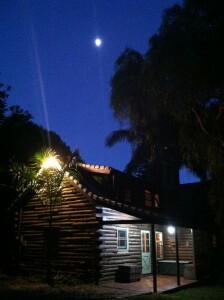 It is a great weather and star gazing spot. 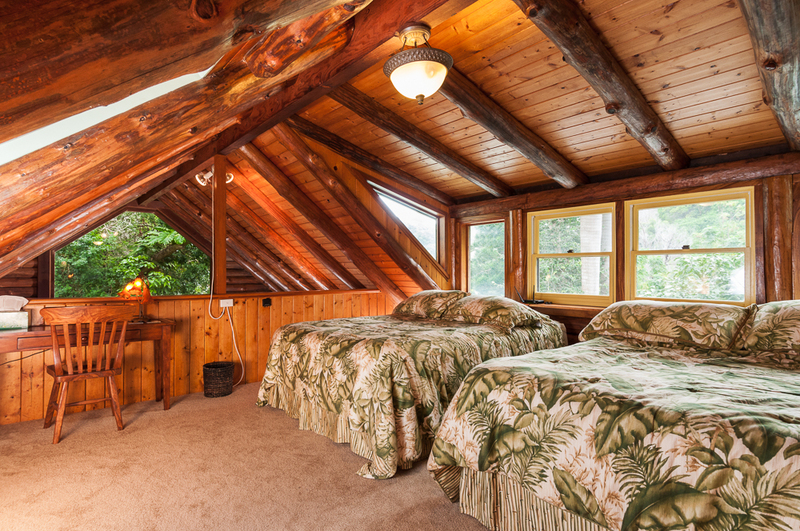 The loft has two queen-sized beds, a desk and dresser. 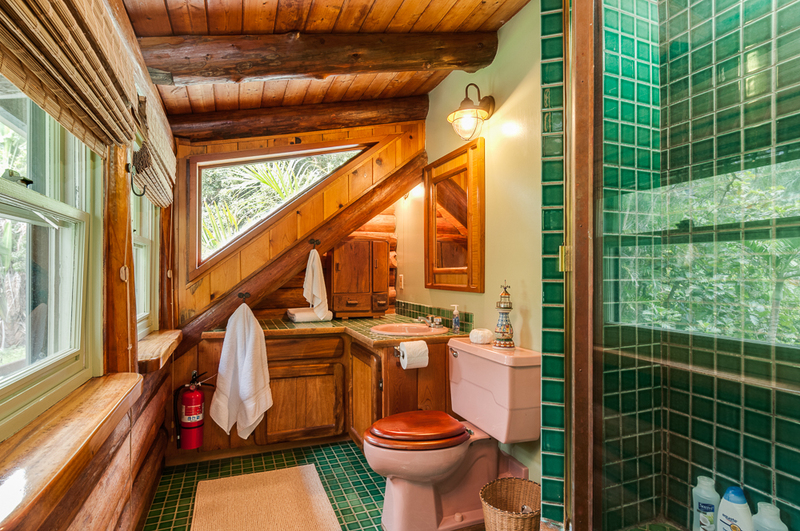 The upstairs “green bathroom” also offers custom tile and wood work that is reminiscent of a classic ships bathroom but feels like you are in a tree house. It is absolutely charming. This bathroom has a shower (no tub). 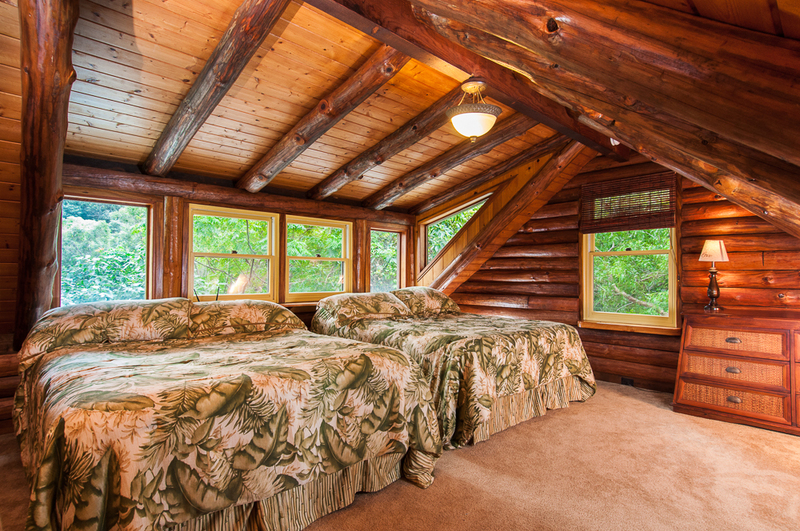 The upstairs bedroom features two twin sized beds. The beautiful artwork of a Hula Dancer is by artist Ken Kennell. 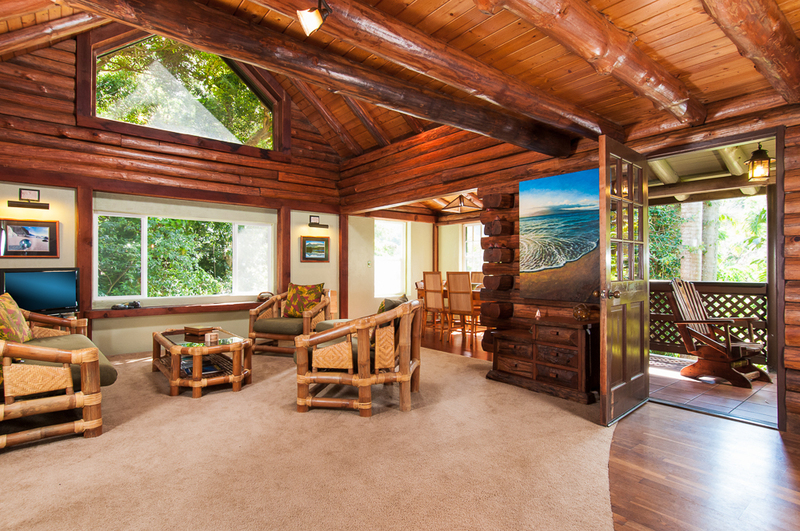 The unique log work through the sitting area/bookshelves add a quaint touch! 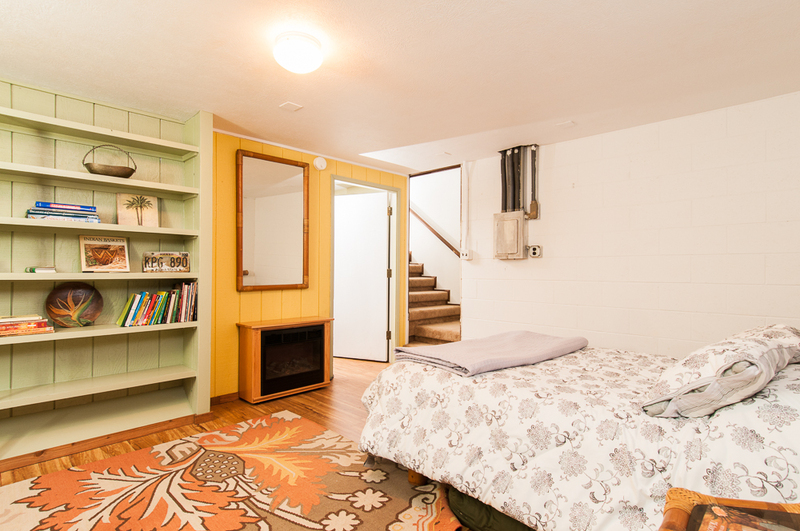 Bottom floor has 2 bedrooms, a bath and a laundry rom. 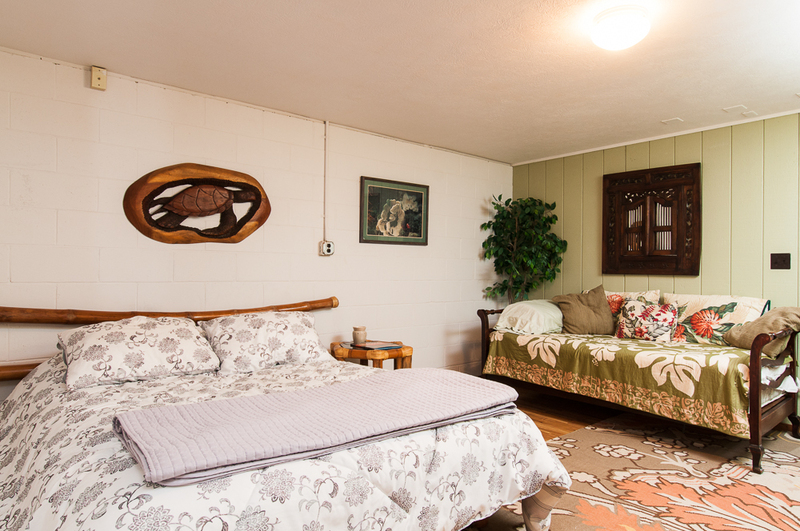 One room has a queen bed and two twins (trundle bed). The other is a bedroom suite (king sized bed or two twins) with bathroom (tub/shower) and kitchenette. Spacious, light and cute, the studio suite offers the addition of a charming fully contained accommodation for more people in your party. Two twins together form a king sized bed but offer the option of pulling apart to provide 2 beds. 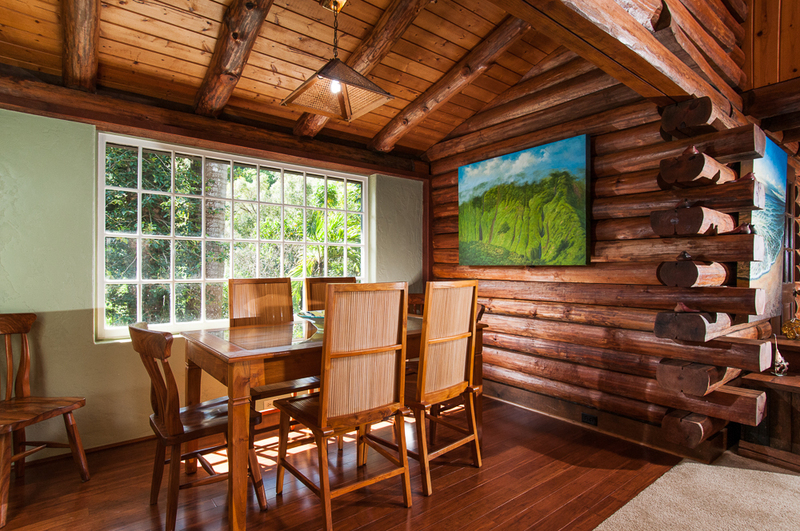 The elegant bamboo chairs and teak furniture offer a special touch. There are french doors in the studio suite allowing for private access, as well as access to the main house from inside. 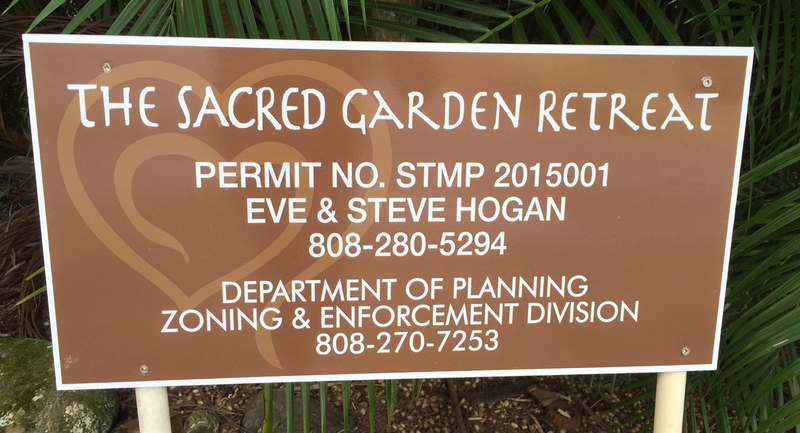 Eve Hogan, the owner along with Steve Hogan, also runs Heart Path Journeys a retreat company offering personalized, private retreats with Maui’s best practitioners. 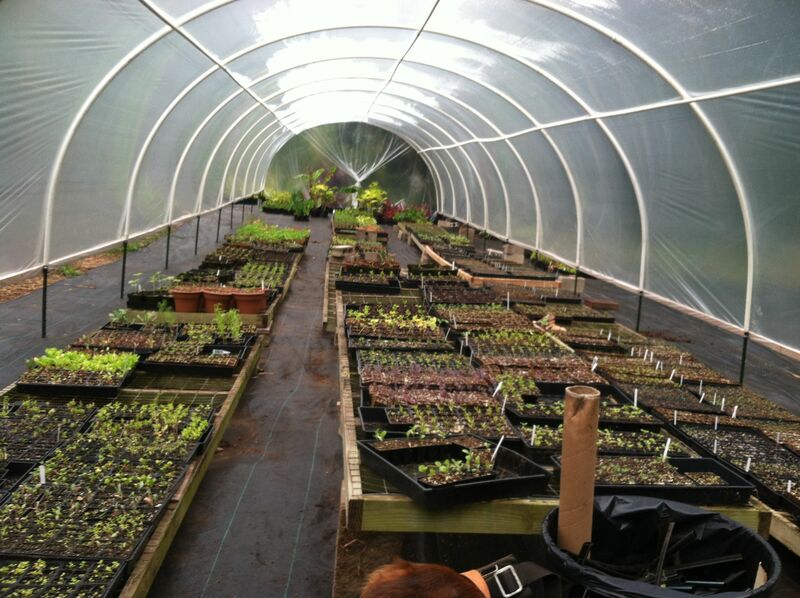 If you would like relationship coaching, spiritual or personal growth coaching, a private labyrinth presentation and walk, a massage, acupuncture, an intuitive reading, self-discovery through journaling, Art or writing or gardening retreat—all are available! 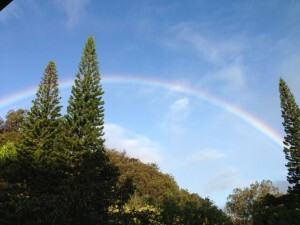 808-243-Path(7284) for availability and more information or email retreatonmaui@aol.com. Cancellation/Refund Policy A 50% deposit is required at the time of booking with the balance due 60 days prior. In the event of a cancellation, deposits and payments are non-refundable unless we can rebook the dates. There is a 5% administrative fee in the event of a refund.